With Vice City Stories, Vice City is now on Sonys Playstation Portable (PSP). Distinguish there are some houses which are only built yet, or still standing, the Vice City Stories, play some years before Grand Theft Auto (GTA) Vice City. Give the GTA PSP cheat codes when the game is running. In this Cheat List 20 active cheats are available. Full health is very important in Grand Theft Auto Vice City Stories. To have full power again you can use this cheat code. Also full armor you can have by a cheat code in Grand Theft Auto Vice City Stories on your PSP. Here is the cheat code for full armor. For 250000$ Dollar in Grand Theft Auto Vice City Stories you just have to give in this cheat code. The tank wagon rhino you will get, after you have give in this GTA Vice City cheat code. To get the first weapons set in Grand Theft Auto Vice City Stories on your PSP, you just have to give in the following cheat code. Here is the cheat code for the second weapons set in Grand Theft Auto Vice City Stories on PSP. The third and last weapons pack (set) you will get after you have give in this cheat code on your PSP by running GTA Vice City Stories. 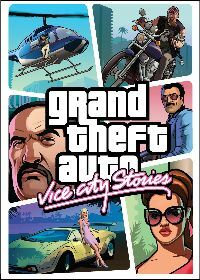 Give in this cheat code to increase your police wanted level in Grand Theft Auto - Vice City Stories on PSP. Also you can reduce your police wanted level in GTA - Vice City Stories on PSP with an cheat code. Here is the cheat to reduce your wanted level. Give in this cheat code and all pedestrians in Grand Theft Auto Vice City Stories have weapons. All the pesetrians in GTA Vice City Stories on your PSP will attak you after you have give in this cheat code. Give in this cheat code for Grand Theft Auto Vice City Stories on your PSP and all pedestrians run amok. To have perfect handling for all vihicles in Grand Theft Auto Vice City Stories you just have to give in this cheat code on you PSP. The dump car trashmaster you will get after you have give in this Grand Theft Auto Vice City cheat code on your PSP. With this GTA Vice City cheat code the next passerby near your car gets in the car. After you have give in this GTA Vice City cheat code for PSP all cars have black color. With this cheat code all cars in Grand Theft Auto Vice City Stories are chromed and polished. With the following cheat code for GTA Vice City Stories on PSP (Playstation Portable) you will destroy all cars and vehicles in your area. Give in this GTA cheat code on your PSP and you will get a faster gameplay in this great action game. To have a slower gameplay in Grand Theft Auto Vice City Stories on your PSP you hast have to give in this cheat code.